As the 2017/2018 school year approaches, it would be good to know about a couple of documents/frameworks that will be influencing the ways we teach with, learn with and support our classroom educator and coach partners. 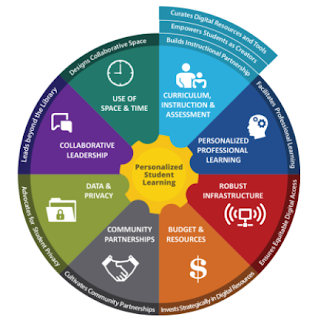 First ISTE’s refresh of its Standards for Educators impacts our practice as educators as well as the practice of our classroom teacher partners. It should absolutely fuel your professional development efforts. As you examine the standards and their indicators, you will see clear resonance with our work as teacher librarians so so many opportunities for collaboration. You may want to encourage your faculty friends to order this free poster about stretching their ed tech practice and breathing into the new standards. This slideshow explains the shifts and offers strategies to Invigorate Teachers with the ISTE Standards for Educators. The ISTE EdTekHub offers a variety of ideas, content, and resources for leading-edge educators, including featured videos and infographics. The open ISTE Standards Community offers a space for conversations and resource sharing. The ISTE Seal of Alignment catalog showcases the products and services that support best practices for technology-driven learning and teaching aligned to the ISTE Standards. And relating to the Standards for Students), you may want to share 7 Ways: The ISTE Standards for Students Music Video, recently produced by our friends at Flocabulary. Shifting gears (literally) . . . There are some new Future Ready Frameworks in town as well. 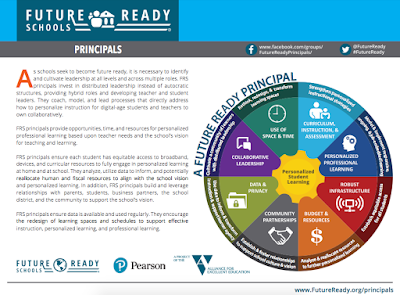 You likely already know about Future Ready Schools and the Future Ready Pledge. 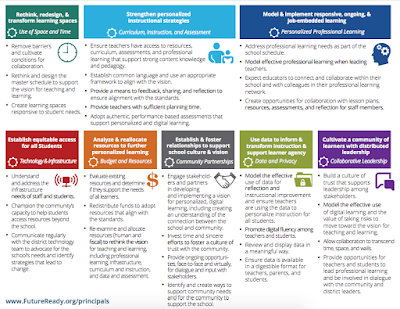 And, you are likely already very familiar with the Future Ready Librarians framework released last year. (See my post and check out Shannon Miller’s template for setting Future Ready goals for the coming school year. 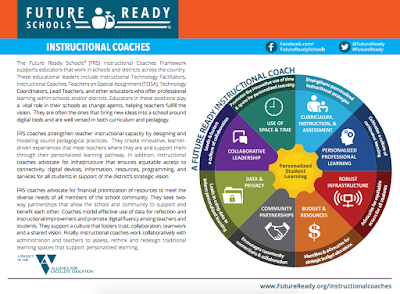 Recently, two new frameworks launched, expanding FRS’ role-based components which, of course, began with district leaders and the Future Ready pledge. The initiative has grown and now individually recognizes the future-ready roles of librarians, principals, instructional coaches and soon, technology leaders. Social media hashtags, as well as webinars, meet-ups and face-t0-face events support the conversations around each of these groups. A Future Ready Principals Facebook Group has been started to support discussion. A new Future Ready Instructional Coaches Facebook Group has been started to support discussion. Note: A Future Ready Technology Leaders framework is coming soon. You may also want to share news of the free, two-day Future Ready Institutes which begin around the country this coming week.